Tales of the Cocktail: What Went Wrong? All photos by Amanda Schuster.Even though it took place during some of the most sous-vided-gym-sock days of New Orleans summer, Tales of the Cocktail was something all of us - media, cocktail educators, spirits brands, consultants and cocktail enthusiasts - looked forward to every year. At a certain point, like any annual independent festival such as South by Southwest or Comic Con that started with a bunch of nerds nerding about their respective nerdy things and grew into its awkward teen stage, it simply got too big and gangly. Drinking and schvitzing stopped being fun when it meant fewer, well, nerdy things and more expense tacked onto expenses (not to mention threats of fines for seemingly minor offenses) and waiting on long lines. When the scandal broke last spring that the festival’s founder, Ann Tuennerman and her husband Paul, had exhibited some seriously poor media judgement as so-called pillars of the drinks community (more on that in a bit), it seemed the entire operation might go down in flames. Along with declarations of heartache were audible sighs of relief. Miraculously, last summer, with a symbolic bandaid over the boo boo and considerably fewer of the regular attendees, brands and participants, the show somehow went on. Then last week, another seemingly strange decision was made by the Tuennermans, and the villagers were on the attack. TOTC was founded in 2002 by Ann Rogers (later Tuennerman) when the modern cocktail renaissance was still in its infancy and New Orleans tourism was at a low point, especially during the sweltering summer months. It started as a historical walking tour of the city with a small group of spirits experts, historians and writers who were based in different locations as a way of gathering in one place and convivially sharing information. After Hurricane Katrina nearly destroyed the city in 2005, there was an understandable emphasis on New Orleans restoration, and, as the cocktail community and the festival itself expanded, so did the mission of Tales to function as an annual, non-profit charity festival (a huge difference from other large festivals) over the course of a few days to include a roster of seminars, parties and other internal events to support the city and the movement of the cocktail industry. Its “ground zero” the Hotel Monteleone, an elegant and expansive landmark hotel with a rooftop pool, hundreds of guest rooms and conference areas that happens to also be home to the historic, revolving Carousel Bar, which became the TOTC central meeting place. Fledgling cocktail bartenders from around the globe out to make their big break would travel to New Orleans for the opportunity to participate in its CAP (cocktail apprentice) program, working tirelessly behind the scenes to prepare, serve and clean up for seminars, tasting rooms and events. Independent drink brands seeking more traction from the cocktail community would attend as sponsors to expand their industry presence. An all star roster of historians, experts and enthusiasts lent their expertise during seminars and tasting events and attendees could expect a high level of education from them. It was certainly a place that launched countless careers, built up dozens of obscure brands and fostered lasting relationships within the community, including a few marriages. I can say here without hesitation that I wouldn’t even be in a position to write this article as a successful drinks writer if it hadn’t been for the opportunities Tales of the Cocktail presented to me over the years, including meeting Adam Levy in 2009, the founder of Alcohol Professor. So why write this article? Why kick something when it’s already down? Why be so ungrateful and ungracious? Because along the way, things went very wrong and people got hurt. They got hurt in ways that are not simply manifest of the typical problems associated with a small brand struggling with growing pains. It was more than just a few careless public comments that built the storm of outrage. That was recent. What has festered within Tales of the Cocktail as a, quite frankly, abusive organization with a blatant disregard for the community it claims to support, had been taking place for years and there is value in discussing them so they don’t happen again. Earlier this week, I rode in a Mardi Gras parade with the Zulu organization, in which participants, both people of color and of all races, traditionally wear blackface makeup, and shared photos of myself in costume on social media. I now recognize how deeply offensive this is to many, and I am sincerely sorry. It was a naive and inconsiderate action, the consequences of which have made it clear that I have much to learn. Regardless of anyone’s intentions, we all have to take responsibility for our actions, especially those of us in positions of authority. As an industry leader, I assume full responsibility for my actions, and am ready to listen to all those who I have angered and hurt in the process. I repeat, nowhere in the letter does Tuennerman make any reference to the insulting caption, and this is indicative of the way the organization does business. They have exhibited a history of admitting to problems without actually addressing the real problem. For instance, in 2012 when bartender Jenna Bredesen accidentally drowned during a pool party at a house that was to be the setting of an event the next night. While the very sad and unfortunate incident was acknowledged, it was promptly dismissed, with no formal public statement or even a consideration for a memorial or a similar gesture the following year. It is extremely tragic that someone - a person with a name (that is nowhere on their reporting from that summer's event) and a family - died, yet following such an incident, this would have been a good time for TOTC to ramp up efforts to promote better awareness for important health and safety issues aside from stern warnings not to hold unsanctioned events. Back to the offending Instagram post. That post itself was promptly deleted, except, of course, in cyberspace, everyone can still hear you scream. You can read more about the incident here in Times-Picayune and you can read a 2009 article about the Zulu Krewe’s history here courtesy of writer and historian Wayne Curtis for the New York Times. What mattered here was not Tuennerman’s willing inclusion in an understandably easily misconstrued facet of a New Orleans tradition. It was definitely poor judgement to participate as a high profile industry leader considering the optics. However, it was her actions surrounding this participation and what began to unfold as a complete failure, not only from her, but the entire organization, to show genuine sensitivity toward the community she was representing in the days, weeks and months that followed. As I stated in my public apology, the question of fair and equal representation for bartenders of color at Tales of the Cocktail and in our industry in general has been raised. On Monday, during our live session on Facebook, my intent is to listen to insights from those in our industry who have been confronting issues of racial discrimination and insensitivity for years. Our hope is to better understand how Tales of the Cocktail might become a platform for fostering much-needed diversity within our industry and, we hope, a model for other industries to emulate. For those who are still not convinced, we hear you and we are determined to win your support through concrete actions that make change a reality, not a slogan. We are all in this together. Is this a sincere apology for the insensitivity of the hurtful Instagram post coming from a place with a genuine desire to work toward cultural healing? Or is this all a scramble to retain 15 years worth of brand sponsorship and community participation? Unfortunately, this Facebook tête-à-tête didn’t offer too many resolutions or satisfactory conclusions other than the impetus to form a council within Tales to address these concerns (read: other people do most of the work). Tuennerman’s husband Paul, whom many cite as the key offender in the incident since it was his quotation she used as the Instagram caption, soon stepped down as a controlling partner and director of Mojo 911, the LLC company that operates TOTC (the non-profit is operated by a separate 501c3 company called New Orleans Culture and Culinary Preservation Society or NOCCPS), but it was also clear this act was symbolic at best. He still had a financial stake. He still could “consult’ from the sidelines. A Diversity Council was formed as a means for Tuennerman and key members of the cocktail community to discuss racism, sexism, sexual assault and other serious issues that have plagued the industry and the festival in particular and work toward ways to improve them. It has since been reported that only one meeting was ever held, at Tales, and it was amid a sea of cameras as members filed in, including its most high profile member, its president, Bacardí (a major sponsor which holds one of the biggest opening parties of the festival each year) Senior Portfolio Ambassador Colin Asare-Appiah. On September 21st, without consulting the diversity council or, it seems, anyone else in the community, Ann Tuennerman reinstated her husband to his controlling role in Mojo 911. Following this action was a conference call to the diversity council (it begs the question why even bother calling them at all if this was a remotely okay thing to do?) and Asare-Appiah immediately resigned in what has been reported as a highly emotional state. Others soon followed. It seemed the reason it even took 14 years to address diversity concerns at TOTC was the same reason actions could be taken without its input. Coinciding with this incident going public was what appeared to be damning evidence gathered by members of the community who had been questioning the non-profit status of the controlling company, especially given the Tuennerman’s very public purchase of a luxury yacht and their extensive worldwide travel during the down months. How could owners of a non-profit afford such luxuries? Enter the Schedule L of the 2015 990 form for Mojo 911, found on public record. It clearly states that both Tuennermans received $844,760 each in “Professional Fees” in the roles of Director and Executive Director. There was an ensuing online uproar and Ann Tuennerman officially resigned from her role as Executive Director, yet at the time, it was unclear, perhaps deliberately, whether the Tuennermans would still have a controlling role from the sidelines. Now it has been reported they are selling their shares in the company and have named Melissa Young as the current president, which begs the question, is it not unusual for outgoing leaders of anything to name their own successor? You can read that resignation statement here and how TOTC later addresses the financial rumors here. Also, here’s an interesting take from spirits writer Chuck Cowdery. It was later stated by TOTC that what seems like some pretty large profits for a non-profit were channeled back into the organization. Unfortunately, it’s rather difficult to trace this claim. Furthermore, the public statement does not address the TWO lines of “professional fees” listed by the LLC, only one. I consulted someone in the non-profit sector familiar with similar financial reports. She examined the whole report and mentions that people named as Executive Director change throughout the document, including Ann Tuennerman herself but also others, therefore making it confusing to trace who exactly was the recipient of Professional Fees and where they ultimately went. It’s possible the profits went back into the organization, but also entirely possible they didn’t. Says my source, “It may also be worth noting that the entity named (1) Mojo 911, which received $844,760 in Professional Fees according to Schedule L of the 2015 990, is also noted as Executive Director of the organization… but that could also be the fault of the accountant.” What she does state unequivocally is that it is highly unusual, from any perspective, for an LLC attached to a non-profit to declare 60% of funds as compensation for profit. The most she’d ever seen was $250,000.00, but it is expected that the amount actually be $0. It’s also important to note that it’s unusual for a non-profit to funnel its money into an account that is taxable and then spend it on necessary items for the non-profit. It might also have something to do with how business at TOTC was conducted in the first place. 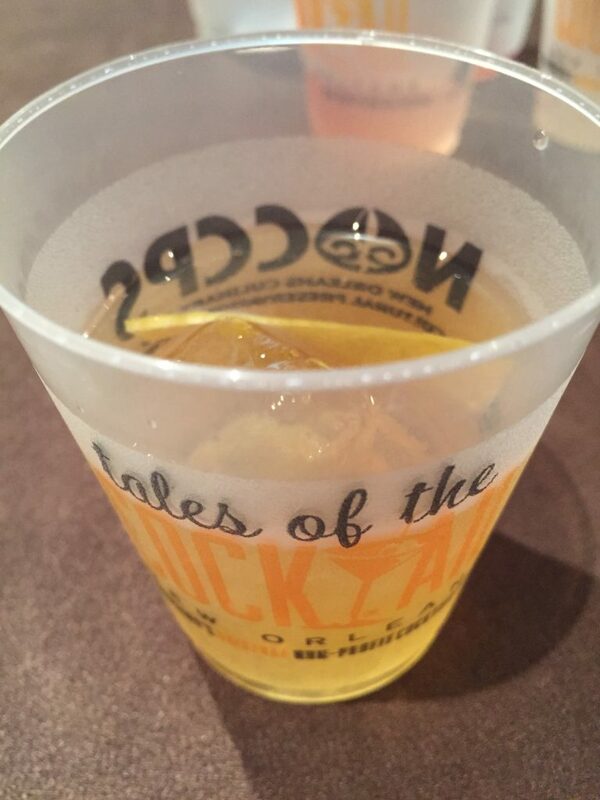 Alcohol Professor was a Tales sponsor and hosted a tasting room in 2014. In early 2015, I was surprised to receive a string of threatening emails from Ann Tuennerman herself, coming after me because Adam Levy, who controls all AP finances, had not yet paid the bill he felt he was unjustly charged for - spirits that had been poured in the tasting room showcasing the winners of the New York and Berlin International Spirits Competition. The producers had already ordered and paid for the spirits poured at the tasting room yet TOTC wanted to charge him again for these same spirits even after he showed proof the spirits had come from the producers’ inventories, already paid. Adam in the end paid the bill upon my urging after Tuennerman threatened to put him in collections and I was going to be stripped of press credentials and blacklisted from the festival, even though I applied as a freelancer who writes for more than one publication that covers Tales. I was to be “punished” for someone else’s behavior. I know I’m not the only one who experienced such a shakedown, in fact, I know of far worse instances. That is why Adam would not give his money to sponsor any TOTC event ever again. How can it feel good and justified to wake up every day and know that part of it is spent conducting business in this manner? It had already become increasingly noticeable that certain high profile brands, along with many smaller ones, were quickly disappearing from the festival and their names were not even allowed mention. Accusations of holding “unsanctioned events” where TOTC did not directly profit from anything from a private party held by a brand who had already paid to be there to a small breakfast meeting with a member of the media were something that filled the air (and our email boxes) all week. I was informed by a New Orleans bartender that bars were even pressured not to sell drinks made with blacklisted brands in the weeks leading up to, during and right after TOTC. The costs for smaller brands to hold events was increasing - thousands of dollars for a table in a tasting room, more for co-hosting a Spirited Dinner (cocktail pairing dinners held at different venues throughout the city on Tales Thursday). Though I am told it could be as little as $250 to hold a tasting, that tasting would be in a remote room at the Monteleone for 45 minutes in the early morning hours when most attendees were still sleeping off after parties. The price increases depending on chances of visibility. I am also told by a publicist who represents several small spirits brands that if her clients chose to participate, she felt compelled to warn them they could “...expect at some point to be yelled at by someone in the office.” Drinks writer Camper English examines the ROI of participating at Tales here on SevenFifty Daily. Mix has this to add: “Tales has always been a highly discussed and highly controversial event. There have been a slew of things over the years that had turned my head in disapproval (too many to go into) but then I also had really enjoyed Tales as well, especially years ago. Really, before everything happened with Paul and Ann and the "Blackface Incident" I was already not going to go to Tales last year. I was over it and all of the over-scheduled, over-crowded, seen-it-before events that seemed to just spend hundreds of thousands for no good reason. Speed Rack was the first, and to my knowledge, only organization to officially disassociate with Tales last year after that incident and I certainly hope to see more brands do so. Silence on the issue is a form of compliance with what's going on, none of which is OK. Meanwhile, Bar Convent Berlin comes to Brooklyn next June, just in time for something new. A bit to ponder - perhaps it will serve as a good example for something fresh in New Orleans 2019? UPDATE: As of February 21, Tales of the Cocktail has been sold to the Solomon Group and New Orleans bar owner Neal Bodenheimer of Cure and Cane & Table, with Caroline Nabors Rosen named as executive director, with the intention to operate as a fully non-profit organization. We hope the new organization can work with the community to implement changes in all departments to better serve the community.